I’ve never been quite as excited as I am to post this feature today. 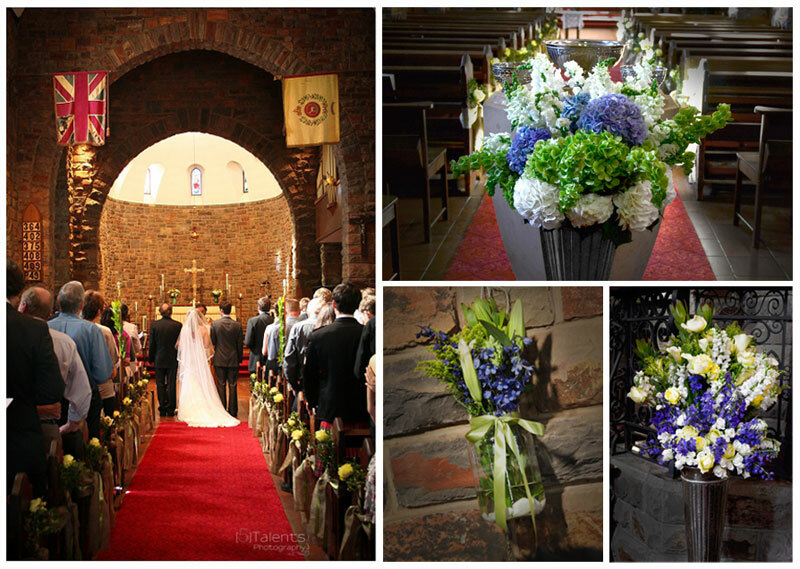 Lauren and Kyle Tee got married over the long weekend in September and Ribbon was fortunate to not only be involved with the stationery but the flowers and decor too! 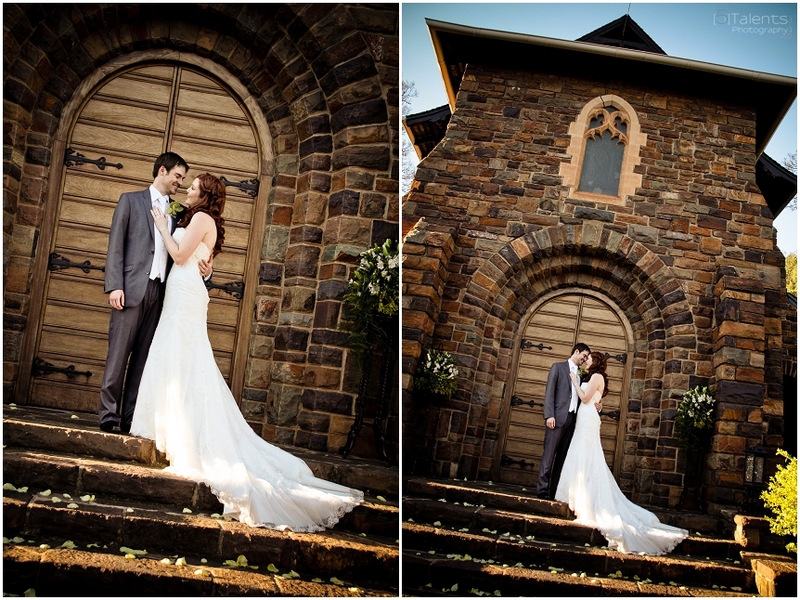 The reception took place at Tony’s Fully Furnished Pizza Co in Pretoria – and it was from this unique venue that all the inspiration came. 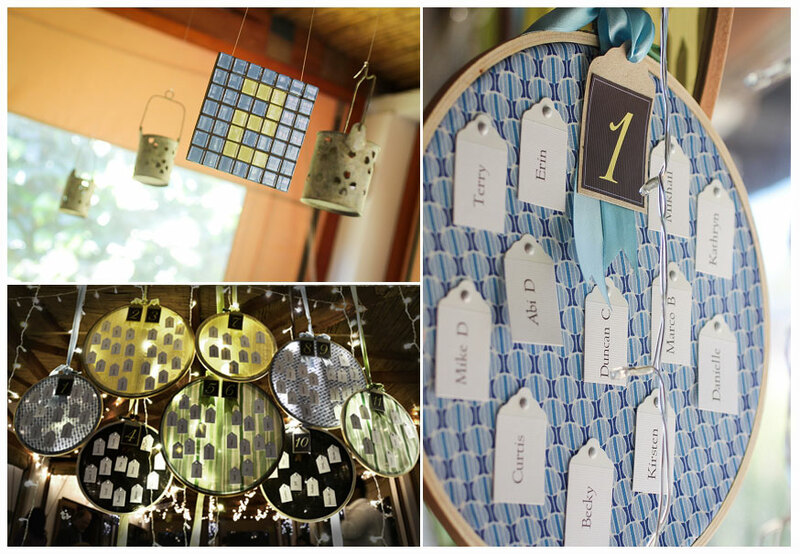 The venue’s main decor element is mosaic and so the theme was continued into the wedding’s stationery and decor. 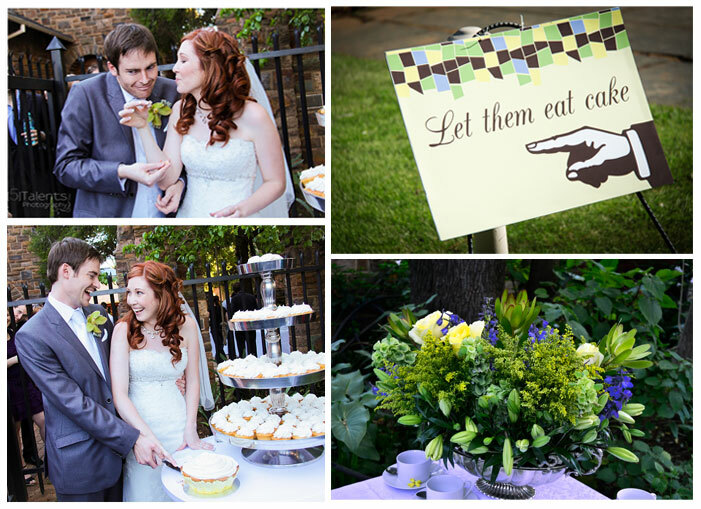 Lauren’s colour preferences were a tall order of green, blue, brown and yellow – any wedding planner’s colour scheme nightmare! Fortunately because of the mosaic theme, we were able to create an aesthetic blend of specific tones of the colours. A Moroccan touch was added with ornate lanterns as centre pieces as well as a Secret Garden feel with plenty of greenery and twinkling yellow lights. 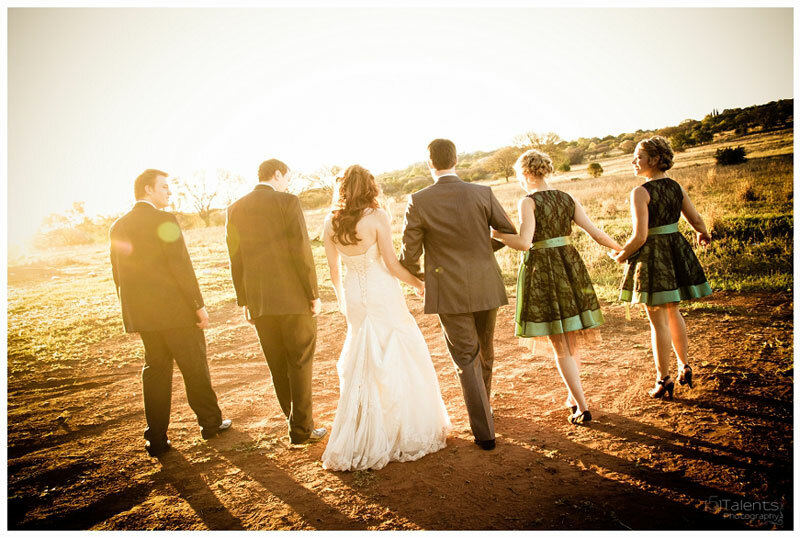 Thanks to 5 Talents Photography for the beautiful photos as well as a few from Murasaki-Ame Photography. 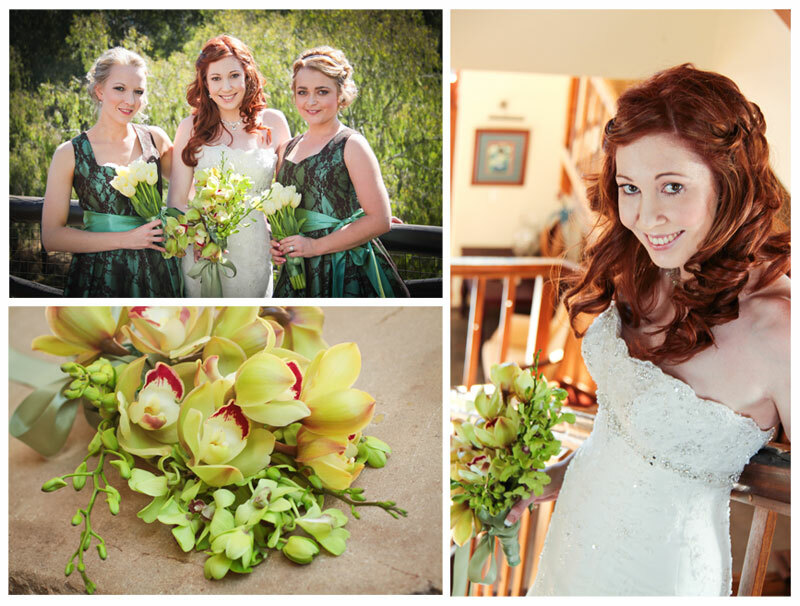 All-green orchid bridal bouquet and pale yellow tulip bridesmaid bouquets – Ribbon Weddings. Beautiful bridesmaid dresses by dressmaker, Anke Boersema. 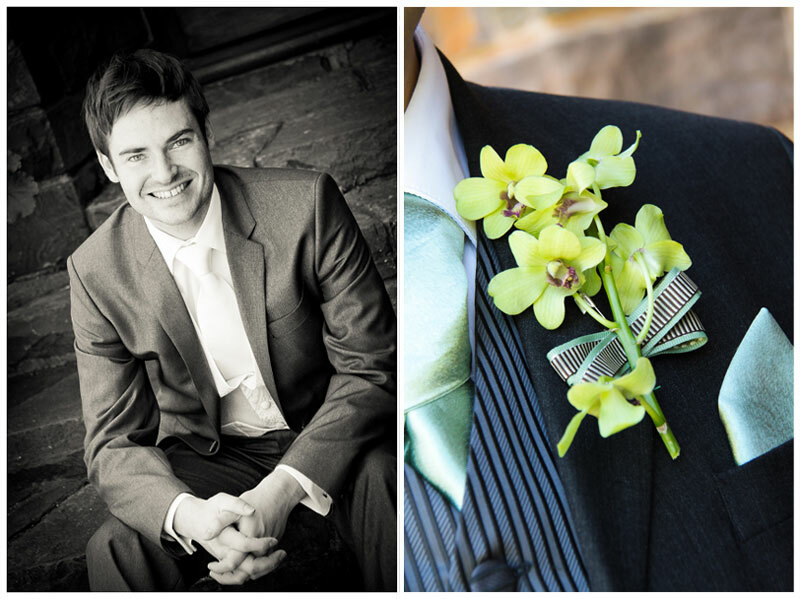 Orchid boutonnieres – Ribbon Weddings with special thanks to Anelle le Roux. Many thanks to all the girls who helped weave that ribbon and set up on the day. DIY coffee filter roses laboriously made by the bride. Lanterns hired from The Decor Hire Company. 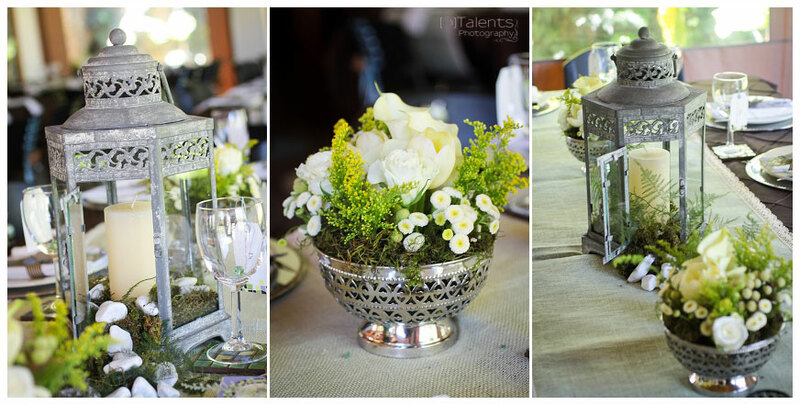 Vases and runners from Nici’s Decor Hire. 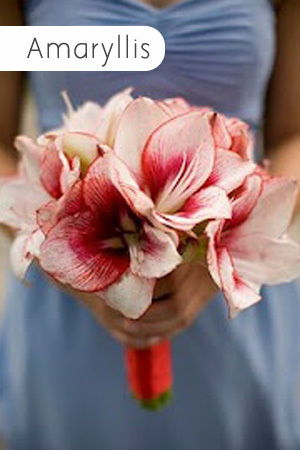 Flowers – Ribbon Weddings. 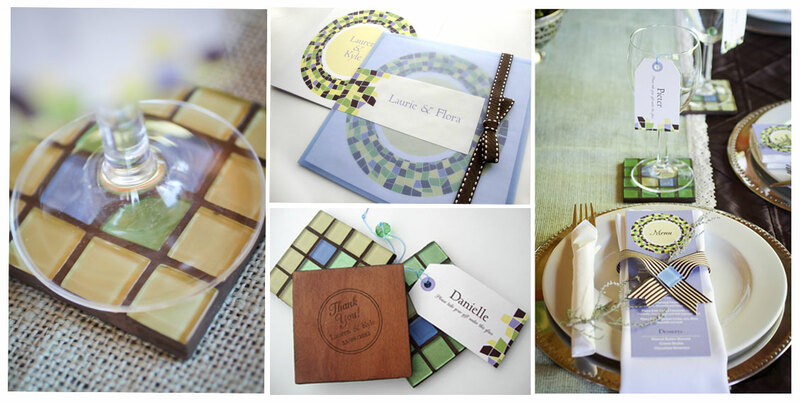 Invitation, menu and place card – Ribbon Weddings. Mosaic coasters made by the parents of the bride. Custom Thank You stamp for coasters – Ribbon Weddings. 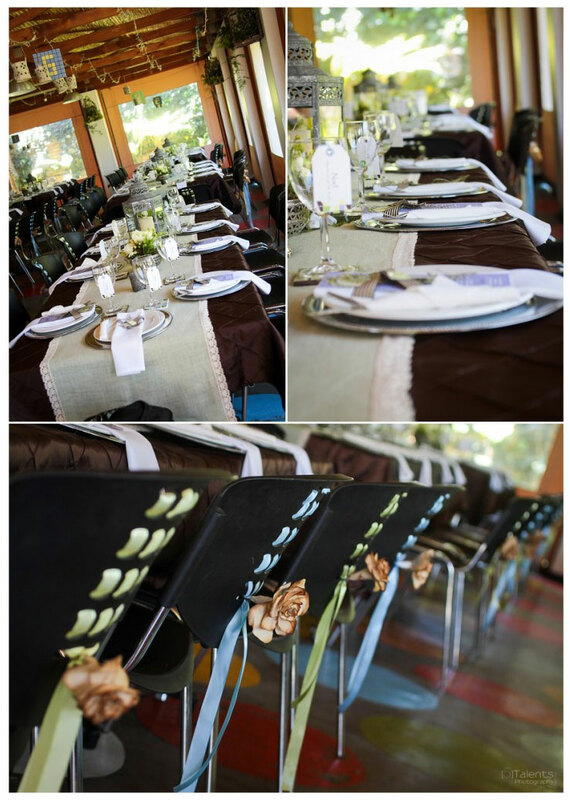 Custom seating plan – Ribbon Weddings. Mosaic table numbers made by the father of the bride. Hanging votives hired from Moi Decor. 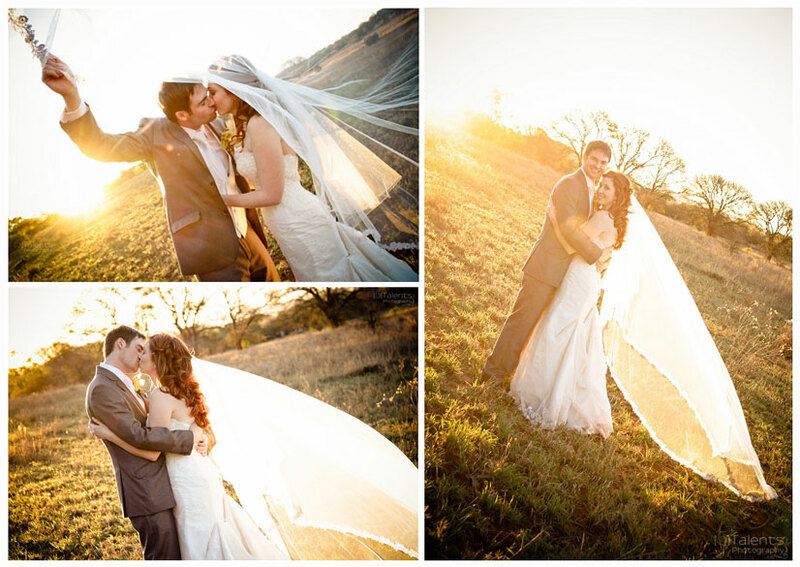 Beautifully lit photography by 5 Talents Photography. Reception: Tony’s Fully Furnished Pizza Co.